Christmas has just passed and now everyone is gearing up for the next festive celebration. Newby Teas, the world’s most awarded luxury tea brand from the U.K., has come up with a set of special edition 2018 Festive Tea Caddy centred around – you’ve guessed it – dogs. 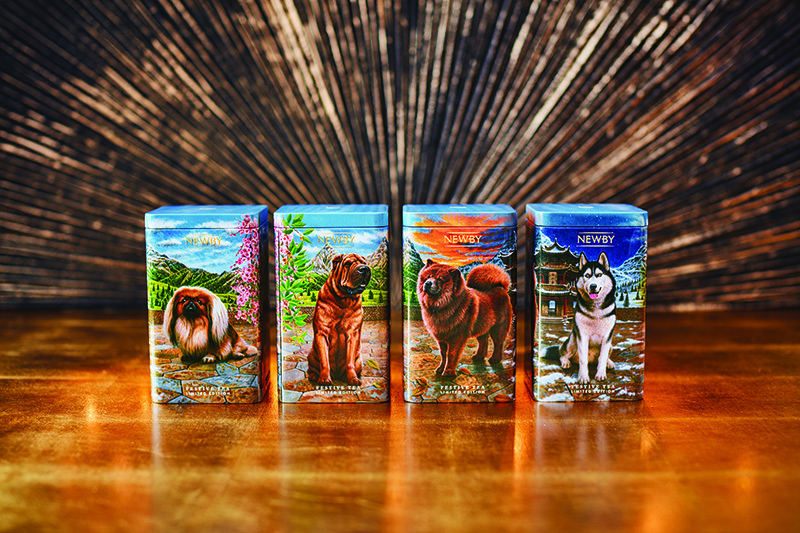 The unique tea caddies would make a great gift for dog lovers. They come in four designs featuring four different dogs – the Pekingnese, Shar-Pei, Chow Chow and Husky. Each of these dogs symbolises wealth, loyalty, friendship and wisdom through the four seasons of spring, summer, autumn and winter respectively. The caddies come with a luxury blend of premium loose Assam tea leaves imbued with the subtle flavour of roasted almonds – perfect for enjoying with friends and family members during these cool months. Newby Teas is available online and at Emporium Shokuhin, Singapore’s biggest Japanese supermarket. The 2018 Festive Tea Caddy retails at S$48. Like the Asia 361 and Newby Teas Asia Facebook pages. Share this article on Facebook and tag at least three friends in your post. Name one of the dog breeds featured on the 2018 Festive Tea Caddy set by commenting below or on our Facebook post. The contest ends at 11.59pm on 19 January 2018. Winners will be notified via Facebook and must be able to collect the prize in Singapore.